It may lack some bells and whistles, but it makes basic video editing a breeze. Apple’s iMovie has been around for a long time, and it has always focused on one philosophy: ease of use in a clean and elegant interface. After many years, this hasn’t changed. It’s still a delight to use, if a little bit obtuse at times in its pursuit of minimalism. It lacks some of the formats and features supported in other programs, but what’s there is implemented beautifully. Check out our full listing of free video editing software reviews and buying advice, or move up to paid video editing packages, which tend to be easier to use. 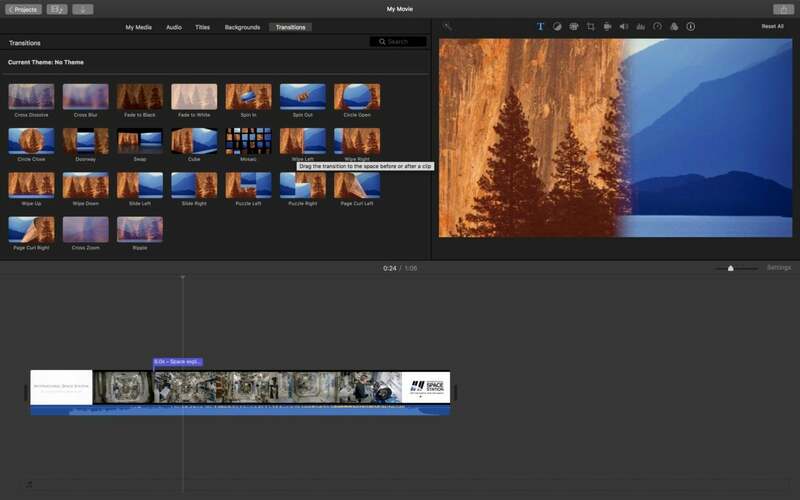 iMovie doesn’t offer the tutorials or wizards that some other programs for beginners do—though there is a neat movie trailer generation tool. Rather, it keeps the interface as basic as possible while guiding you with simple tooltips as you mouse over specific buttons and features. Total beginners might end up scratching their heads a little more than they would in apps with more explicit tutorials, though. The features are also somewhat limited. There’s no 360 video, nor is there multi-cam editing. iMovie doubles down on making a very small selection of tools like transitions, backgrounds, titles, voiceover, and basic trimming and editing as straightforward as possible. It’s quality over quantity here—which is in stark contrast to many other free applications. Titles and transitions look impressively professional, and they can often be applied to satisfaction in about three clicks or less. Just be careful about using the really popular ones; iMovie is so popular that even casual observers might start to notice the same visuals popping up in home movies again and again. Apple’s iMovie video editing software generates beautiful titles with various effects in just a couple of clicks. iMovie has another advantage over other Mac video editing software: performance. iMovie is very well optimized on modern Macs, and it works very quickly—especially on a MacBook Pro. We had no problems importing, editing, and scrubbing through a 4K video smoothly, where other free editors buckled under the pressure on the same hardware. And in general, playing nice with other Apple products is something iMovie is quite good at. It will automatically bring in photos, videos, and audio clips from iCloud. You can view your iMovie projects on your Apple TV with minimal fuss. And it interoperates with a surprisingly strong version of iMovie for iPhones. 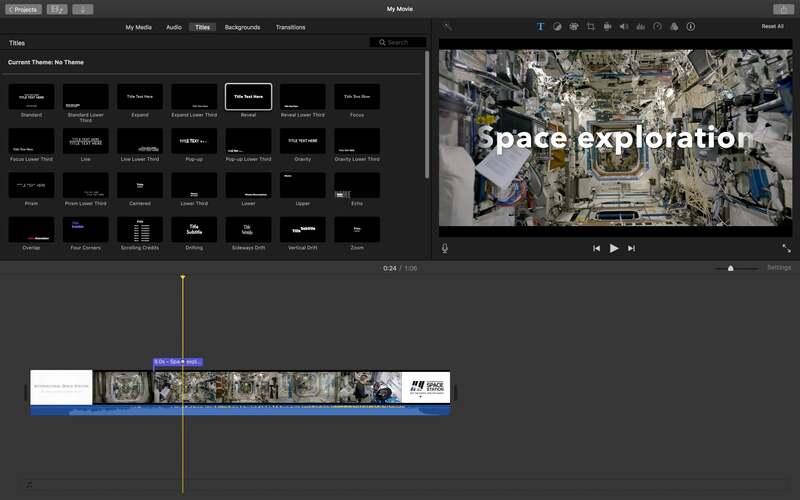 iMovie is free to all new Mac owners, and it’s a great place to start if you want to learn to edit videos, because its basic workflow is similar to that of more sophisticated programs. It would be an unequivocal slam-dunk if it just supported a few more features around the edges. Samuel Axon is a Los Angeles-based writer and editor who’s spent the past 10 years covering culture, personal technology and video games. He is also the director of Playsource, a marketing services platform for indie game developers.